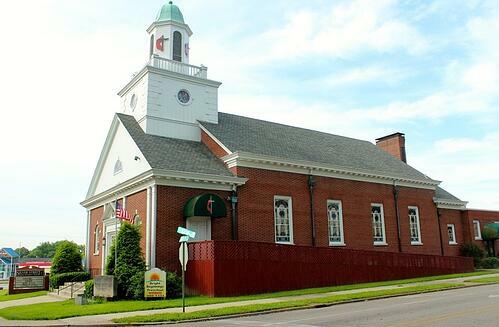 Led by Pastor Donald Reed, Silver Street United Methodist Church and Bright Beginning Pre-School actively serves the New Albany, Ind., community. So when the flat roof that covered the administration office and preschool began to leak, Pastor Reed called Exterior Pro Roofing. Built in the 1950s, the building is constructed of block and brick walls, and topped with a concrete deck. The original roof was hot tar built up and covered with gravel. It then had a spray foam roof installed over top that ranged in thickness from 1 to 8 inches. The spray foam went up the parapet walls, but did not completely seal the masonry and limestone cap—leaving it exposed and leaking. Exposed masonry and limestone caps had begun to leak. A sag in the concrete roof caused water to pond in the middle of the roof, away from the collector boxes meant to drain off the water. 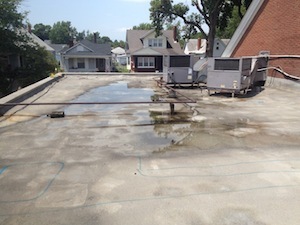 Existing spray foam roofing was saturated and needed to be removed. Throughout the repair, the church office and pre-school needed to remain operational. 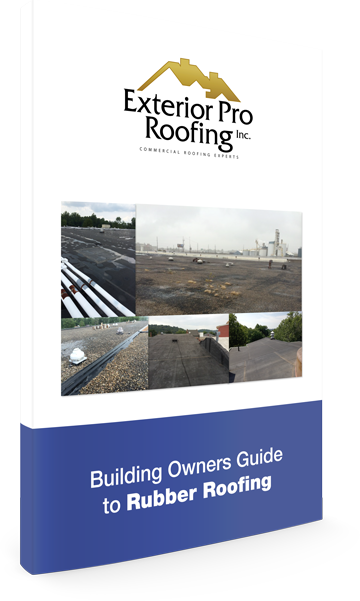 The various complications with this roofing project meant Exterior Pro Roofing had to develop a comprehensive plan that would quickly and efficiently remedy leaks occurring every time it rained. The first order of business was to remove the old spray foam roofing. 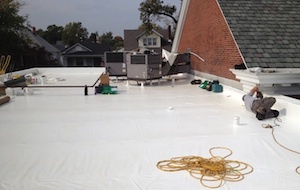 Completely saturated, it was unfit to be covered with a Duro-Last® single-ply membrane. Once removed, new insulation was applied. The Duro-Last® was then installed directly on top of the existing built-up roof. Duro-Last was recommended because it was impossible to eliminate 100% of the ponding water caused by the sagging concrete roof structure without replacing the entire roof—a costly project. Duro-Last® provided a watertight seal over the roof and its warranty was not affected or voided by the presence of standing water. To completely encapsulate the masonry wall, the membrane was laid up and over the exposed walls, sealing them from water exposure. To date, this remains one of the most challenging projects Exterior Pro Roofing has completed. Despite unique obstacles, the company finished the job on time and on budget, with a few new friends made along the way.